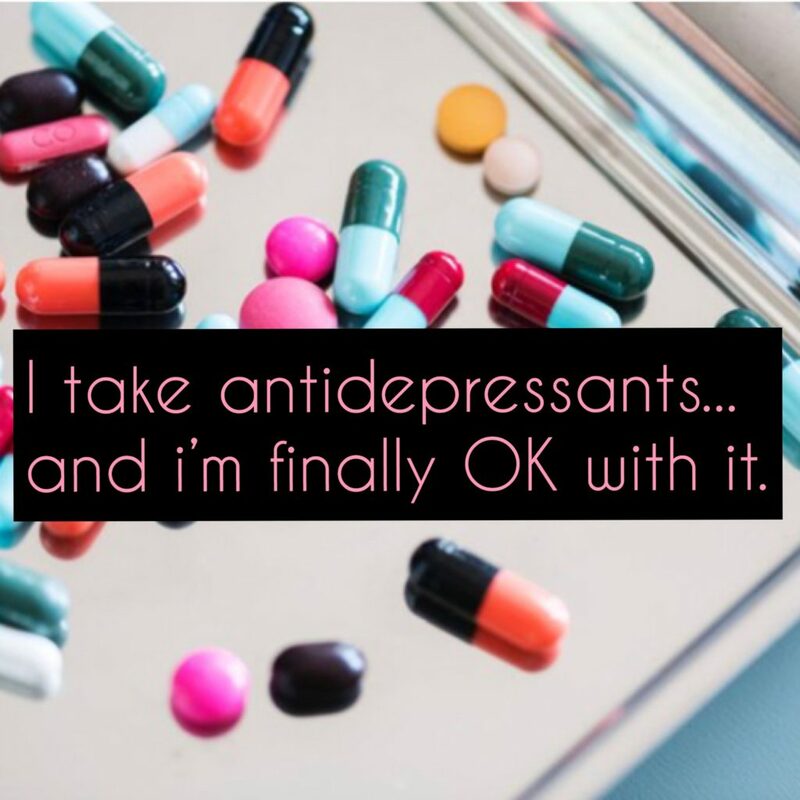 Last week I told someone I take anti-depressants…and I was totally OK with it. Casually turn at an event. Casually go ANYWHERE without days of preparation. Casually arrive alone somewhere I’ve never been before. Over the past year or so, I have become at ease with talking about my experience of anorexia, but I have been less forthcoming with admitting that I take anti-depressants. Taking medication was a big ‘no-no’ for me. Despite understanding that an eating disorder is a mental illness, and acknowledging my mind needed some pain relief (just as a broken leg might), I still felt immense shame at taking anything. Having only met Jo for a total of ten minutes, I told him that I took anti-depressants. I did so, because we had connected. We connected at a deeper level than the airy-fairy chit-chat that usually comes with first meetings. He shared some of himself with me, and in turn I did with him. My reluctance in telling anyone has always been about not wanting to feel like a failure. I wanted to be able to ‘sort myself out’ without drugs. Alongside this, I felt as though they would only act as a ‘sticking plaster’, and that once I came off them all the dark stuff inside me, would still be there. I managed to avoid taking any medication for the first month after being admitted to inpatient treatment, by flatly refusing to engage in any conversation with my treatment team. I was determined to feel the pain. I didn’t want to numb it; but it didn’t take long before I had to admit defeat. My stay in the clinic got way harder before it got easier. My team were concerned that I wasn’t fully able to engage in the programme, because my thoughts and feelings were all too consuming. I was crying pretty much all day every day, and had become exhausted. The pain I felt was not just physical (adjusting to the increase in food), but was mental. I wanted to cut off my head and escape everything inside. It got so intense, I finally decided that perhaps I didn’t know better, and accepted their suggestions. It has been 5 years since I swallowed my first tablet and I am still taking them. I have considered coming off them many times, and never intended to remain on them indefinitely, but I have accepted that right now they are a huge help to me. Despite my concerns that they would numb all my feelings and turn me into a robot, I still feel every emotion possible; but instead of them paralysing me, they are manageable. Anti-depressants are not a magic cure or instant ‘happy pill’, I believe that they work best in conjunction with talking therapy. One doesn’t work without the other; they are complimentary. Without the medication, I would not have been mentally able to engage and access the talking therapy, and without the talking therapy, the medication would have been a temporary fix. My relationship with my box of daily pills has up until this point, been far from harmonious. I hid the box from friends, family and colleagues, feeling ashamed that I was not strong enough to cope without them. I went cold turkey for a week when I ran out, thinking I would be fine. I DO NOT recommend this; I experienced all sorts of awful mental and physical symptoms. That was late last year, and I have been back on them since. I respect the little round things a whole lot more these days. I no longer look at them with disgust, because really, that disgust was aimed at me – and I don’t deserve that. I am at peace with taking them, just as I am with taking an over the counter pain relief to ease any other ache or pain. Back to my encounter with Jo. Revealing that I’m recovered from an eating disorder or take antidepressants isn’t the usual way I begin a conversation with a stranger. I am a relatively private person, but when you meet someone who has a similar experience, your barriers soften and you don’t feel as vulnerable. Jo spoke my language, he understood and he made no judgement. Much prejudice against antidepressants has diminished in recent years, but the acceptance is largely aligned with the idea that that they are a temporary measure. I think that one of the reasons that the stigma still exists, is because taking medication is associated with other conditions, such as bi-polar and schizophrenia, which are still deemed to be conditions of the ‘insane.’ They are not, they are also about a chemical in balance in the brain, a change in lifestyle, increase in stress or trauma. People with mental health are NOT, as is often believed – a danger to society.